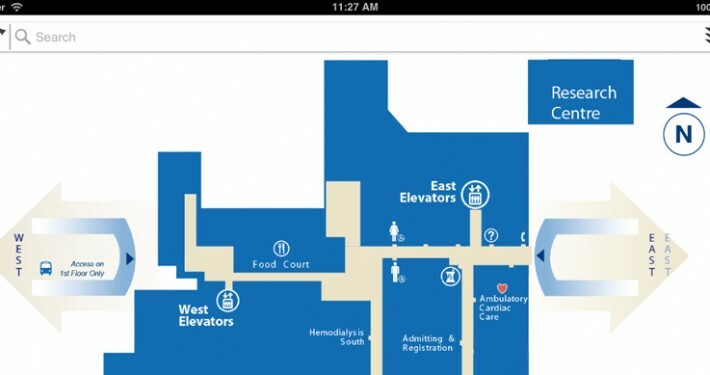 Help your visitors / patients find their way using TSG’s ezWayFinder – ezWayFinder is an interactive wayfinding application built on a mobile platform that can be accessed from a stationary kiosk, smart phone or tablet. Provide your consumers with visual & textual directions whether they are on site or on the go. 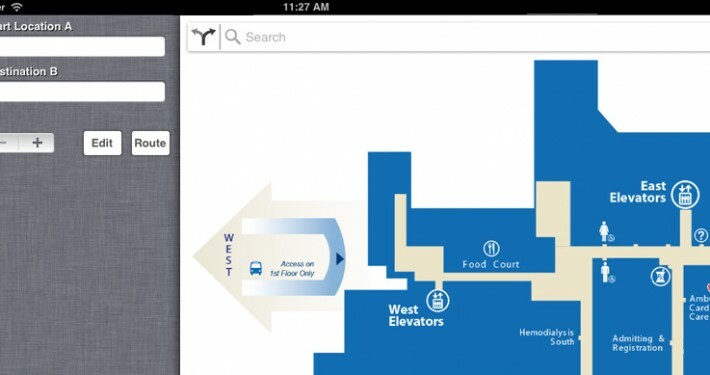 Digital Wayfinding can help to ease visitors’ stress and frustration, making their experience more pleasant. Want to increase your patient and visitor experience, improve customer service, go green and maximize ROI using directional services? The Shams Group’s (TSG) ezWayFinder will lead the way! Get connected to your patients and visitors. The Shams Group can design an interactive, touch screen wayfinding and information services solution (built on a mobile platform) that is customized and branded to your every need. 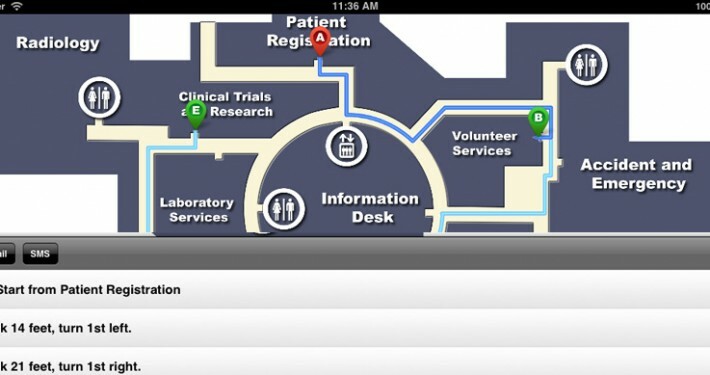 TSG’s ezWayFinder allows patients and visitors to search and pinpoint multiple destinations as they navigate throughout your facility. ezContent is a component of TSG’s ezWayFinder, an indoor mapping application that engages consumers through interactive digital wayfinding and provides directions and other information from a kiosk or mobile phone. ezContent allows administrators to update information on locations, post dynamic deals and announcements, or send push notifications to app users. Permission-based user roles can be set up to limit certain users (i.e. departments, tenants, etc.) to only updating specific locations. For any support issues with ezWayFinder, please fill out our contact form.